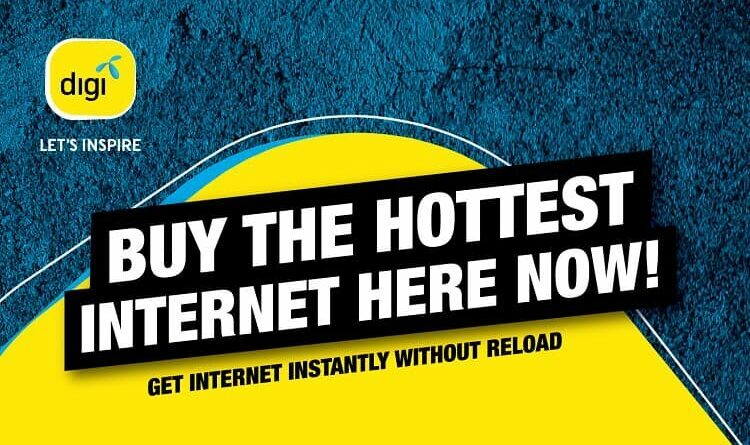 Digi has just introduced Prepaid Internet Reload, a new data reload option for prepaid customers, making it convenient for them to top up as and when they want. This Internet Reload allows prepaid users to choose how much data they would like to have, when they want it and will not tap into their existing plans for calls and messaging as it is specifically designed for internet usage. Available in two options –RM3 for 3GB with a validity of 24 hours, and RM10 for 8.5GB with a validity of seven days, customers can now purchase the Digi Internet Reload at 99 Speedmart, Happy Mart, KK Mart, MyNews, Watsons, AEON Big, Cold Storage, Giant, Tesco, BHPetrol, Caltex and Petron stations. Other retailers such as 7-Eleven, Petronas and Shell will begin sales in September. Upon purchase, customers will receive a unique 16-digit code to be keyed in during the reload process, which can be done via the MyDigi app or by dialing *123* via UMB. Both products grant the customer internet usage between 1-7pm on the day it is activated and redeemed. This internet offer is applicable to all Digi Prepaid Mobile subscribers except DG Smart Plan and Prepaid Internet customers.